The Hyperbaric Medicine program at Westchester Medical Center, the flagship of the Westchester Medical Center Health Network (WMCHealth), recently received Accreditation with Distinction for its comprehensive hyperbaric oxygen-therapy program by the Undersea and Hyperbaric Medical Society (UHMS). Only 12 percent of the 1,000 centers nationwide receive the Accreditation with Distinction designation. 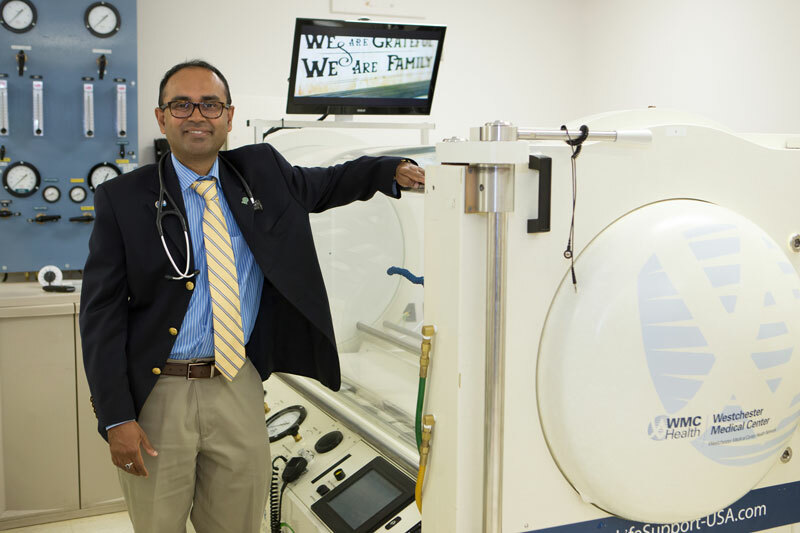 Pictured: Kausik Kar, MD, oversees Westchester Medical Center’s Hyperbaric Medicine program. Hyperbaric therapy helps the body heal extreme injury or hard-to-treat wounds by delivering doses of oxygen greater than barometric or sea-level air pressure.